Located in the heart of Temecula Wine Country, Ponte Family Estate offers guests a “day in the country,” with its spacious rustic-style tasting room, al fresco dining, and extensive marketplace gift shop nestled within more than 300 acres of vineyard. 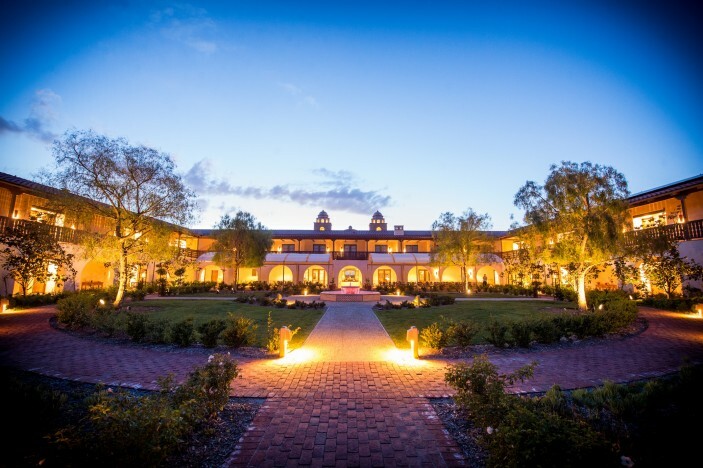 The 60-room, mission-style Ponte Vineyard Inn is an ideal wine-country hotel for visitors to enjoy a “stay in the country.” Ponte Family Estate offers an approachable, memorable experience that welcomes both new and experienced wine lovers. Visitors can enjoy tours of the winemaking process, participate in special events like the Annual Grape Stomp Festival, or work with the winery’s event planners to create an exceptional wine country wedding or other special event. With its picturesque setting, approachable wines, farm-fresh cuisine, upscale lodging and array of activities, Ponte Family Estate is one of the most sought-after and complete wine destinations in Southern California. As a boutique California winery producing about 1500 cases a year for each varietal, Ponte focuses on quality rather than quantity. 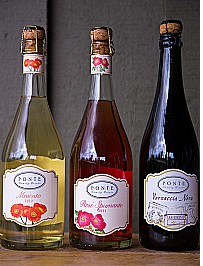 Ponte wines feature crowd-pleasing single varietals like Moscato and Pinot Grigio; plus their friendly signature blends, like Super T, Beverino and “Angry Wife” Red. Popular Ponte white wine blends include the “Isabel” and “Juliet” lines. Plenty of choices for the sweet wine lover, too! Ponte fans love the pretty Rosé Spumante and the many Late Harvest varietals, which pair well with a cheese plate or dessert. For a special holiday host gift, consider giving the Ponte Holiday Magnum or a Zinfandel Port. To shop the Ponte wine store online, click here. 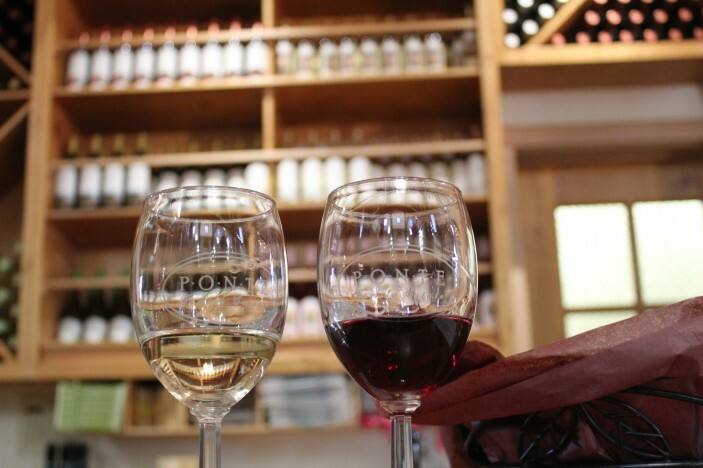 Ponte’s tasting room is open daily from 10am-5pm. Tasting includes 6 wine tastings and a Ponte wine glass. Located in the expansive country-style tasting room, the Ponte Marketplace is one of the best in the valley. Guests love to sip wine while shopping 3,500 square feet of fabulous and unique gifts. There are charming wine accessories, home accents and delicious specialty foods on sale every day. Ponte Winery offers one-hour vineyard and winery tours seven days a week. Jump on board their new 12-passenger electric bus and tour the 310 acre ranch while learning about Ponte’s grape-growing philosophy. Taste three signature Ponte wines, right next to the vineyards they come from. Visit the winery facilities to learn about the art and science of winemaking. The tour ends with sample tastes from stainless steel tanks and giant oak casks. 11:00 a.m. | 1:00 p.m. | 3:00 p.m.
Have a question? Please call 951-694-8855. 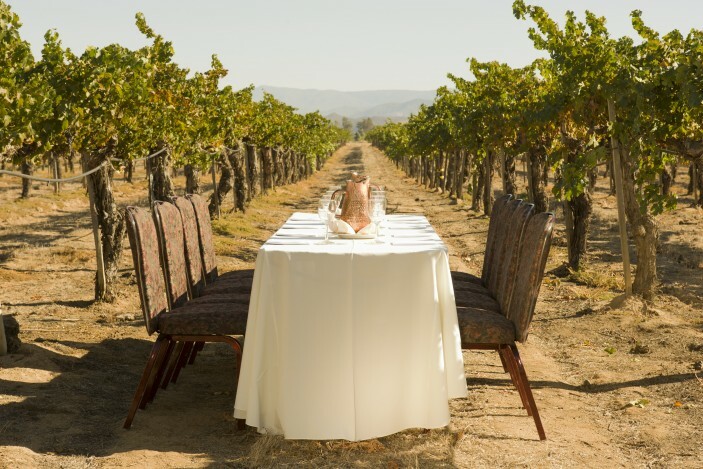 Ponte offers more dining options than most other Temecula Valley wineries. The Restaurant at Ponte has been voted one of the top 50 best outdoor restaurants by OpenTable. This al fresco lunchtime eatery offers upscale California cuisine with Mediterranean flavors seven days a week. Dinner can enjoy the new Bouquet and The Cellar Lounge located next-door at the Ponte Vineyard Inn. The chefs at Ponte Estate focus on locally-sourced ingredients and artisan recipes. 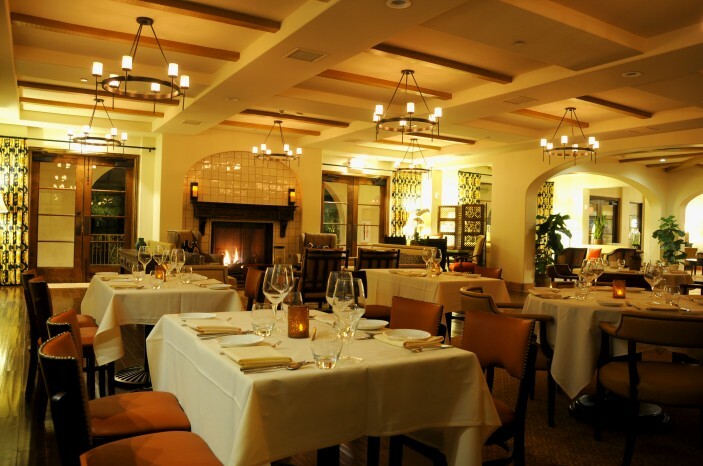 Learn more about restaurant choices at Ponte Family Estate here. Cyber Monday Special: Sunday-Thursday bookings at Ponte Vineyard Inn made on Cyber Monday, December 2 will be priced 30% off regular rates. Subject to availability; stay should take place between Cyber Monday and the end of 2014. Blackout dates include all holidays. Holiday Shopping Sundays: Ponte Winery’s festively decorated Tasting Room and Marketplace offers a carefully curated selection of gourmet delicacies, elegant housewares, cookbooks and wine. Guests are invited to shop while sipping hot cocoa and listening to holiday music under twinkling lights. Wine tastings are available for purchase. Sunday, December 15th and 22nd 10:00am-5:00pm. New Year’s Eve Dinner and Package: The winery’s popular Restaurant at Ponte will be serving their full menu with specials in the winery’s stunning Barrel Room. Reservations accepted from 5:00pm to 8:00pm, on December 31st. For reservations, call (951) 252-1770. In addition, there will be a special seating for dinner at Bouquet Restaurant at Ponte Vineyard Inn with a prix fixe menu and wine pairings. Please contact Ponte Vineyard Inn at 951-587-8855 for tickets. After dinner, guests are invited to take the short walk via a designated path to neighboring Wiens Family Cellars for their vintage Las Vegas-themed New Year’s Eve Celebration, hosted by The King himself, Elvis Presley. Those who book rooms at Ponte Vineyard Inn will enjoy exclusive access to The Cellar Lounge, a complimentary bottle of Ponte Winery Moscato, a complimentary Bloody Mary at Bouquet the next morning and a 1:00pm late check-out. 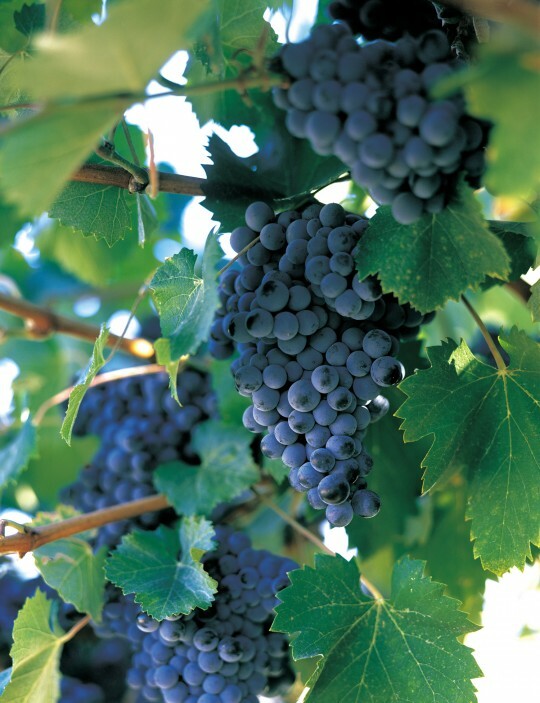 To book a room at Ponte Vineyard Inn, call (951) 587-6688 or visit www.pontevineyardinn.com. To purchase tickets to the Wiens Family Cellars new Year’s Eve Celebration, please contact the winery at (888) 989-4367. Looking for amazing 2 for 1 coupons and discounts to the best Temecula Valley wineries? Visit our special offers page which offers the best Monday-Friday deals in wine country every month! 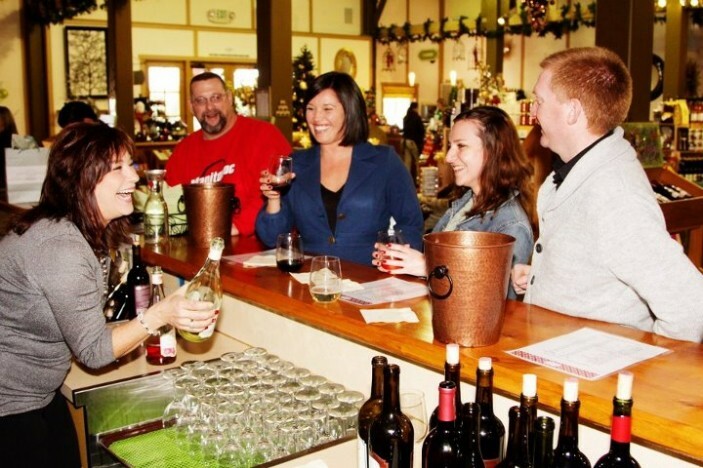 Bel Vino offers several different tours daily from 11a-4p. Monday-Thursday promises easier reservations and less crowds for a truly intimate wine country experience. A 45-minute guided tour lead by an expert wine host. Your host will guide you and your group in an interactive, educational, wine tasting which provides our guests with an in-depth knowledge of Bel Vino winery and their award-winning red wines. $19.95 per person. In a private setting, guests to this 45-minute Temecula wine tour are shown the process that takes Bel Vino grapes from vine to wine. Following the tour, guests are offered a tasting that includes an informative introduction to wine appreciation and a sample of 8 Bel Vino wines, paired with an imported & domestic cheese display. Includes souvenir logo wine glass. This popular tour is $29.95 per person tour and books quickly. This 75-minute tour of Bel Vino takes guests on an exclusive private tour of the vineyards. Guests will also have the chance to explore several of the winery’s wedding venues, ending the tour with a tasting of limited production, reserve wines in the Bel Vino house. There you will be able to enjoy a private tasting and eat freshly prepared tapas made by Bel Vino’s Executive Chef. 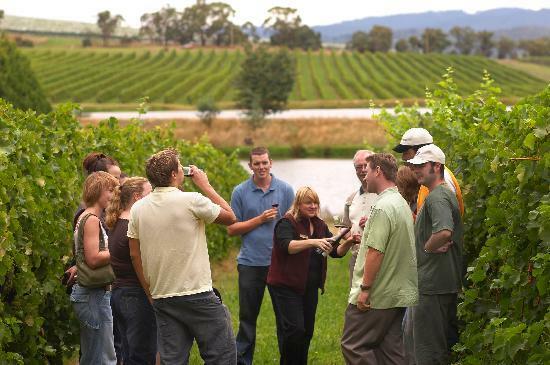 This tour includes a vineyard tour, rare tastings, dinner and a souvenir glass; begins at $49.95 per person. For reservations, please call (951) 676-6414. Need some wine time with your girlfriends? The next Women & Wine Wednesday event will take place on July 31 from 6p-8p. Sample some of your favorite Callaway wines and enjoy light appetizers while making a unique theme or craft to take home! On July 31, you can create your own olive oil, soap or vinegar bottle dispenser. $32 per person, plus tax. $30 per person, plus tax; wine club. Reservations and pre-payment are required for these events. Callaway also offers 10% off lunch at Meritage, Monday-Friday only. Grab that coupon here. For reservations, please call (951) 676-4001. Located right in the heart of wine country, Inn at Churon Winery offers wine tasting and rooms with vineyard views. Sunday through Friday, the Inn is offering 20% room bookings. Download the special coupon here. Sunday through Thursday, guests may book the Rest & Relaxation Package for a savings of $110 compared to the weekend rates. For reservations, please call (951) 694-9070. One of the oldest and established wineries in Temecula Valley, Maurice Car’rie offers 2 for 1 tastings Monday-Friday only through July 31. Enjoy a variety of sparkling wine flavors, plus a charming gift shop and lunch cafe. Ponte Vineyard Inn is an oasis where every room has a vineyard view, and it’s just steps from Ponte Winery! Enjoy significantly reduced rates (nearly 30% less) if you book Sun-Thu so mid-week is the perfect time to escape to wine-country. Check-in, take in the views, enjoy lunch at The Restaurant at Ponte, shop and sip at Ponte Winery’s Tasting Room & Gourmet Marketplace, then kick off Happy Hour at the inn’s The Cellar Lounge from 4:00-7:00pm before having dinner at Bouquet. You’ll be refreshed, relaxed ready to finish off your workweek. For reservations, please call (951) 587-6688. Specially priced lunches for those aged 55 and over; Mondays-Thursdays in July 11:30-3p. Reservations are recommended. Enjoy live entertainment each Thursday evening in July at South Coast Winery Resort & Spa’s Vineyard Rose Restaurant. For details and reservations, please call 951-587-9463. For a perfect spring day, pack a picnic with a chilled bottle of Temecula Valley Moscato and pair it with good cheese, buttery crackers and seasonal fruit. Salud! 2. Twitter currently buzzes with an average of 250 tweets an hour about people drinking their Moscato. Looking for a great bottle of Moscato wine in Temecula Valley? Blog post courtesy of Ponte Family Estate Winery in Temecula Valley. 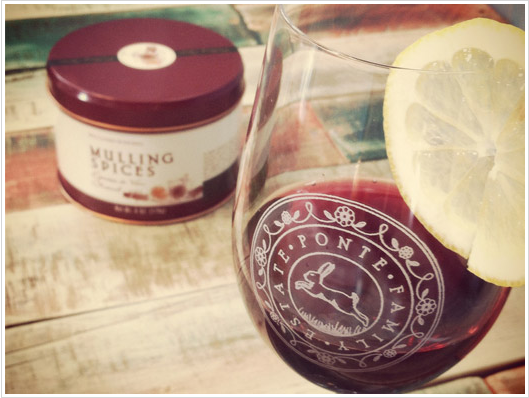 Mulled wine, with its sweet scent of cinnamon, cloves and nutmeg, is a festive way to celebrate the holiday season. For those who aren’t familiar with the term, “mulled wine” is just a simple combination of red wine with a variety of spices, most commonly the ones listed above. This warm and spicy drink is popular worldwide and versions of it can be found in many countries. Scandanavia’s Glogg contains cardamom, ginger and bitter orange. The French call their mulled wine vin chaud, which features lemon, while Romanians add apples to their vin fiert. In Bulgaria, greyano vino is seasoned with peppercorns while South Brazil’s vinho quente gets its extra kick from the addition of cachaça. As you can see, the combination of warm, red wine and spices, fruit or herbs is a tradition all over the world. A modern American take on a mulling spice mix could include cinnamon, cloves, allspice berries and orange rind. To make it, simmer 4 cups of red wine (whatever kind you like; I used Cabernet Sauvignon), 1/3 cup sugar and 2 tablespoons of the mulling spices for about 20 minutes. Remove the spices and serve. You can serve mulled wine in wine glasses, Irish coffee glasses, even coffee mugs, and you can garnish with all kinds of things, such as cinnamon sticks, orange or lemon wheels, apple slices, even mini candy canes. And for you Californians who are still battling the heat, there is an option for you, too: just chill the finished wine and serve over ice. For more great food and wine recipes from Temecula Valley wine country, visit Ponte’s blog. A toast to the holidays from Temecula Valley Wine Country! Ponte Family Estate is well-loved for their delicious al fresco restaurant so we asked them for a great grill recipe for summer. Here’s an interesting twist on an American classic – the cheeseburger. And the best part about this burger recipe is it’s simplicity. This is an easy dish to prep and grill with the family for 4th of July weekend. Pair with a light white wine – and sparkling lemonade for the kids! *Pair with Ponte Winery’s Isabel 2010, a light and delicate summer white.